After the invention of the Digital Versatile Disc [DVD], the true digital sound effect and high clarity video effects were brought to all homes.Â But the hunger for high-definition videos and audio along with a high-capacity storage disc led to the invention of the Blu-ray Disc [BD]. They have the same capabilities of a DVD, storing audio, video as well as photos. A Blu-ray Disc is a high density optical disc storage medium, which is used for the storage of all high-definition digital formats like audio, video, and play-station games and so on. They have the same physical appearance as a DVD. The name “BLU-RAY” is actually a combination of the colour “blueâ€ and “ray”. Here blue refers to the blue colour of the laser that is used for its reading and ray refers to the optical ray. While trade marking a product, you are not supposed to include a common or everyday used word. Thus the letter ‘e’ from the word “blueâ€ was omitted. BD is present in both single layer and double layer. The single layer Blu-Ray Disc has a capacity of up to 25 GB and double layer has a capacity of 50 GB. Though this is a practical storage capacity meant for the present Blu-Ray players, there are BDâ€™s that have capacities up to 200 GB. These discs, though not marketed yet, can be played in any Blu-Ray player without any additional equipment. Blu-Ray Disc needs a wavelength of 400 nanometer violet-blue laser for its reading at different speeds like 4.5 MBPS, 9 MBPS, 18 MBPS, 27 MBPS, 36 MBPS and 54 MBPS. Blu-Ray disc can run formats that are encoded in MPEG-4 and MPEG-2. BD is used for data storage, playing 1080p HD video and audio, 3-D Stereophonic and so on. There have been many questions on who invented the Blu-Ray technology. But this can be explained only by explaining the history of Blu-Ray technology. Even though the High Definition TV was invented, there was no particular storage format, recorder or player for it. Thus companies like Toshiba started experiments on making a bigger size DVD. Lately, they released their own Blu-Ray player. During this war for HD technology, researches proved that short wavelengths (shorter than that of a DVD Blu-ray Disc) were enough to make discs with higher storage capacities along with optical capabilities. It was at this time that a researcher, Shuji Nakamura invented the violet-blue laser diode which was apt for a Blu-Ray Disc. This invention was first applied by Sony Company. They were able to create Ultra Density Optical and also DVR Blue along with the help of Pioneer. These were considered to be the first replicas of Blu-Ray Disc. This was later exhibited to the world at February 2002 and an association was formed. It consisted of nine members, who were considered to be the inventors of Blu-Ray disc. The association was called the Blu-ray Disc Association. This association has now expanded with more than 5000 members all over the world. This association consists of many makers of electronic goods, computer hardwareâ€™s and also motion pictures. The single layer Blu-ray disc can store up to 27 GB data. A singe layer DVD can hold only 4.7 Gb of data. Thus a BD can hold almost 13 hours of normal video and 2 hours of high-definition video. A double layer BD gas a storage capacity of 50 GB which can play almost 20 hours of normal video and 5 hours of HD. A DVD needs two substrates and they should be bonded. But a Blu-ray disc requires only one substrate. The production cost of Blu-ray is lesser than that of a DVD because there is no need for bonding of substrates. Thus the production materials are lessened. This causes a lesser production time than that for a DVD. The Blu-Ray disc uses violet-blu laser with improved lens specifications, while a DVD uses red laser. This causes the focus to increase, thus helping in the recording of both small and high density pits on the BD. The wavelength used for BD is 400 nanometers. DVD has a wavelength of 650 nanometers. This decrease in wavelenth helps in high density medium storage. The layer in a blu-Ray disc is very close to the laser lens on its player. Thus the precision of the data displayed will be higher with less distortion than a DVD. Take a look at the comparison between DVD and BD from the figures below. Read only memory Blu-Ray disc [BD-Rom] â€“ This type of BD can only be read but cannot be written over. The content will be pre-recorded. Recordable Blu-Ray disc [BD-R] â€“ This BD is mainly used for storage of PC data. Re-writable Blu-Ray disc [BD-RW] â€“ This BD is mainly used for storage of PC data. The contents in this disc can be written over and over. 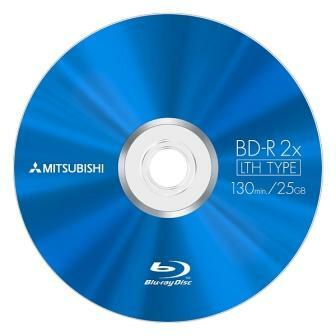 Re-writable Blu-Ray disc [BD-RE] â€“ This BD is mainly used for recording of data to be used in HDTV. This disc can also be written over again and again. Like a DVD, the BD also has pits and bumps. The only difference is that the pits and bumps are smaller and very closely packed. Blu-ray disc also has spiral tracks running from the centre to the edges of the disc. The information is stored in these tracks in the form of audio and video. These audio and video are introduced into the DVD after encoding it. As told earlier a blue laser is used to focus on the DVD. The laser has a small wavelength of precisely 405 nanometers and must be highly accurate because the pits and bumps are smaller and packed closely. The information stored in the Blu-Ray disc is usually very small in size. They are only 0.15 x 10-6 meters long. Since all these are very small in size, a single-layer itself is more than enough to hold more than 25 GB of data. Thus if a double layer is used, they can easily hold information up to 5o GB. The Blu-Ray disc does not have these issues because the data is stored on top of a poly-carbonate layer which is about 1 millimeter thick. This stops the problem of birefringence and causes no distortion to the reading of data. This also has an advantage in regard to the closeness of the data to the objective lens. Due to this closeness to the surface, the BD has a outside hard cover to prevent scratching and finger prints. Because the data is closer to the surface, a hard coating is placed on the outside of the disc to protect it from scratches and fingerprints. The simple design helps in manufacturing these discs at a cheaper rate than a DVD. There is no need of moulding like a DVD. Multiple programs like using the same disc for watching a video as well as recording on it Â can be done at the same time. Watch HD in its maximum quality with very little loss. You can make your own playlists. The programs present on the disc can be re-ordered in any way you like. Use of subtitles is possible for movies. What is the materil used to make a bllu ray disc? Thanks. nice article gives a good insight to bluray technology in comparison with std red laser ray technology. keep it up.